Greece will amaze any traveler for its pristine beauty — azure beaches, crystal clear water, forbidding mountains. This is perhaps the ideal place for a holiday paradise. 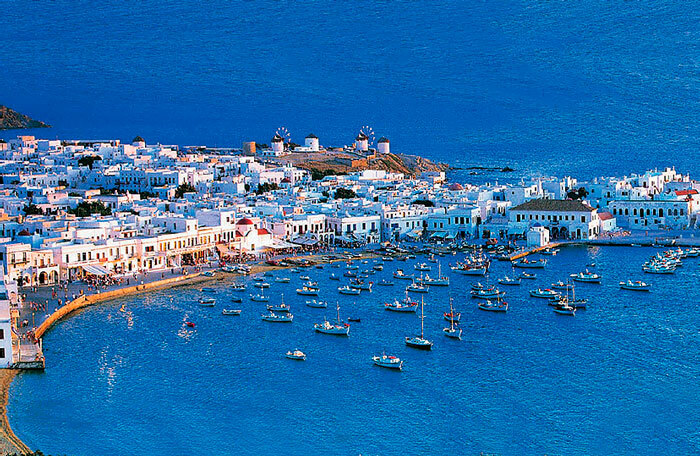 Greek islands to conquer more and more tourists appeasement, a quiet and peaceful life, a sense of comfort and home. It does not meet the bustle, as it happens in cities. In Greece, dominates measured way of life, no anxiety and worries, completely forget about all problems and plunge into the sunny and serene environment. Greece is renowned for its island tourism, and each of the islands is unique, has its own flora and fauna, and unlike the others. Young people prefer to relax on the island of Mykonos — a place for those who love the night club life. There is also a huge number of nudist beaches, water parks and many other attractions. Awesome sunset in Mykonos, when rock sparkle and shimmer of gold.